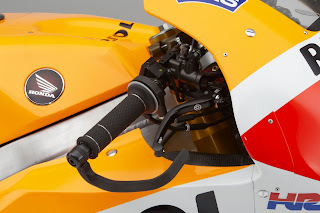 So the aim is to upgrade the brakes on my bike and what better to use than the RC213V MotoGP. 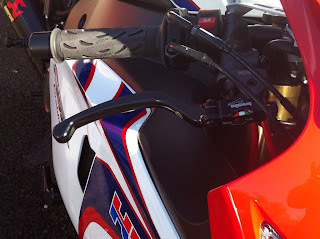 The photo shows that the bike is equipped with a Brembo master cylinder, Brembo folding low drag levers, Race spec bolts and green master cylinder hose. Firstly, HRC Honda sell the hose so thats sorted. The part number is 43505-NF4-000. 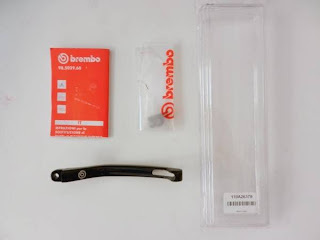 I have bought the Brembo RCS 19 Master cylinder and matching Clutch Lever and perch which will solve clearance issues with the stock master cylinder on my Harris clip ons.